Dr. James Allen, the pioneer of the first canal and mills that established the settlement, named the region Marlbank after the marl deposits in the area. marl is a type of clay mixed with carbonate of lime. When it was discovered that Marlbank Marl produced the most prized and durable cement, the English Portland Cement Company developed a manufactory in 1890. 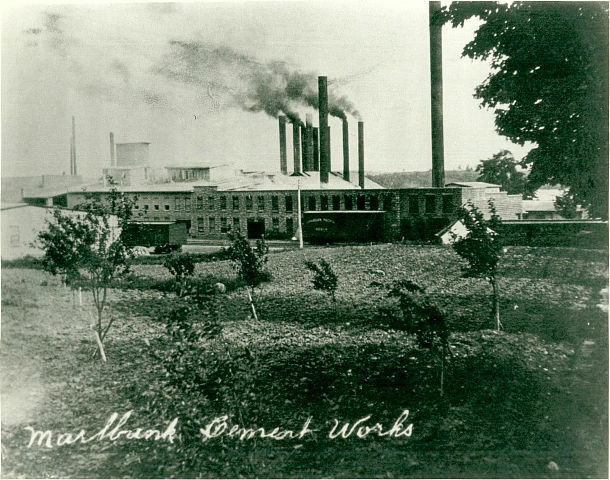 In 1898, after renovations, the Beaver Portland Cement Company of Canada (later incorporated into Canada Portland Cement) took over the manufactory. The cement was used in famous projects, such as the Panama Canal (1904-14) and the Quebec Bridge (1900-1907). Due to the influx of workers to the Marlbank region, the economy boomed. It had an impressive downtown of ten stores, bakery, barber shop, 2 hotels, bank, millinery shop, tinsmith, 3 blacksmiths, pool hall, saw and grist mills, apiary, cheese factory and a doctor. In 1913 the Orange Hall was constructed, which provided a facility for the billeting and training of soldiers of the Canadian Expeditionary Forces of WWI. The community of Marlbank is a cottager’s paradise, in between Lime Lake, White Lake and Dry Lake. It is home for many summer residents, with summer homes nestled in between farmland and forest. It is a place to enjoy the outdoors by fishing, four wheeling or playing a good game of baseball. Marlbank may no longer be home to the hundreds of workers, farmers and their families that it once was, but it offers adventure and mystery to those who visit today. 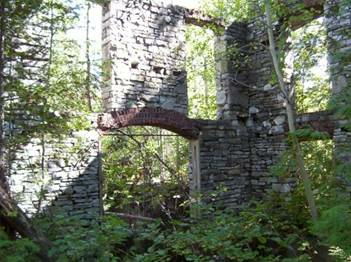 Marlbank is recognized as one of the greatest ghost towns in Ontario. The main attraction being the standing remains of the Marl Works cement factory. The local Phoenix Tavern has an equally mysterious past. It was originally constructed in 1905 but was nearly destroyed by fire in 1994. However, it is now successfully into its second century of service to patrons. Another point of interest in the village of Marlbank is the St. Matthew’s Anglican Church, constructed in 1891.